The health effects of poor air quality are far reaching, ranging from subtle biochemical and physiological changes to difficulty breathing, wheezing, coughing and aggravation of existing respiratory and cardiac conditions. These effects can result in increased medication use, increased doctor or emergency room visits, more hospital admissions and even premature death. Long-term exposure to air pollution can also lead to physical changes in the brain, as well as learning and memory problems and even depression, new research in mice suggests. In the study, led by Laura Fonken, a doctoral student in neuroscience at Ohio State University, mice were exposed to either filtered air or polluted air for six hours a day, five days a week for 10 months  nearly half the lifespan of the mice. 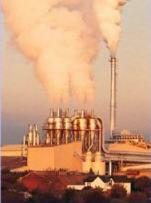 The polluted air contained fine particulate matter, the kind of pollution created by cars, factories and natural dust. The fine particulates are tiny  about 2.5 micrometers in diameter, or about 1/30th of the average width of a human hair. These particles can reach deep areas of the lungs and other organs of the body. The concentration of particulate matter that the mice were exposed to was equivalent to what people may be exposed to in some polluted urban areas, according to the researchers. After 10 months of exposure to the polluted or filtered air, the researchers performed a variety of behavioral tests on the animals. In a learning and memory test, mice were placed in the middle of a brightly lit arena and given two minutes to find an escape hole leading to a dark box where they feel more comfortable. They were given five days of training to locate the escape hole, but the mice who breathed the polluted air took longer to learn where the escape hole was located. The mice exposed to polluted air also were less likely to remember where the escape hole was when tested later. In another experiment, mice exposed to the polluted air showed more depressive-like behaviors than did the mice that breathed the filtered air. The polluted-air mice showed signs of higher levels of anxiety-like behaviors in one test, but not in another. But how does air pollution lead to these changes in learning, memory and mood? The researchers did tests on the hippocampal area of the mice brains to find the answers. Results showed clear physical differences in the hippocampi of the mice who were exposed to polluted air compared to those who weren't. The researchers looked specifically at branches that grow off of nerve cells (or neurons) called dendrites. The dendrites have small projections growing off them called spines, which transmit signals from one neuron to another. Mice exposed to polluted air had fewer spines in parts of the hippocampus, shorter dendrites and overall reduced cell complexity. Previous research has shown that these types of changes are linked to decreased learning and memory abilities.